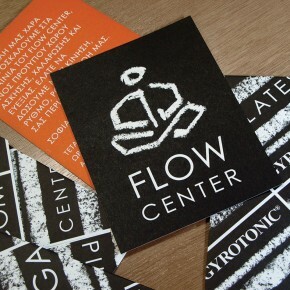 Flow center is a health club which offers yoga, pilates, gyrotonic and other related services. 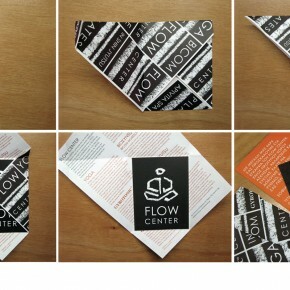 We designed a stick figure logo influenced by the ‘lotus position’ used by a number of meditation patrons. The white chalk line runs through all design applications.